For more information about ADA seating, please refer to our accessibility page. The FARGODOME has extreme versatility with seating configurations. On a regular basis, the facility is transformed from a conference facility to concert hall, to football arena, to theatre—all within a few days. 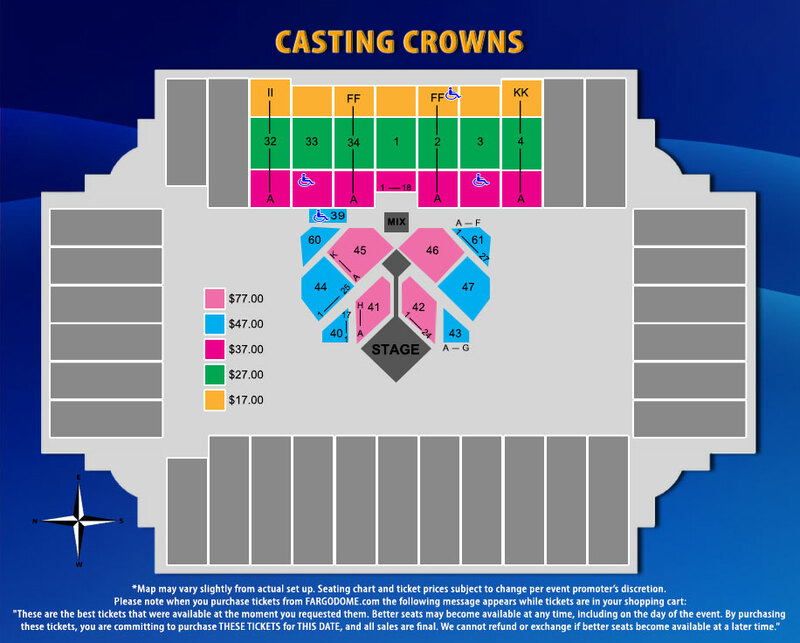 Floor Seats – seats are usually padded folding chairs, flat on the floor. 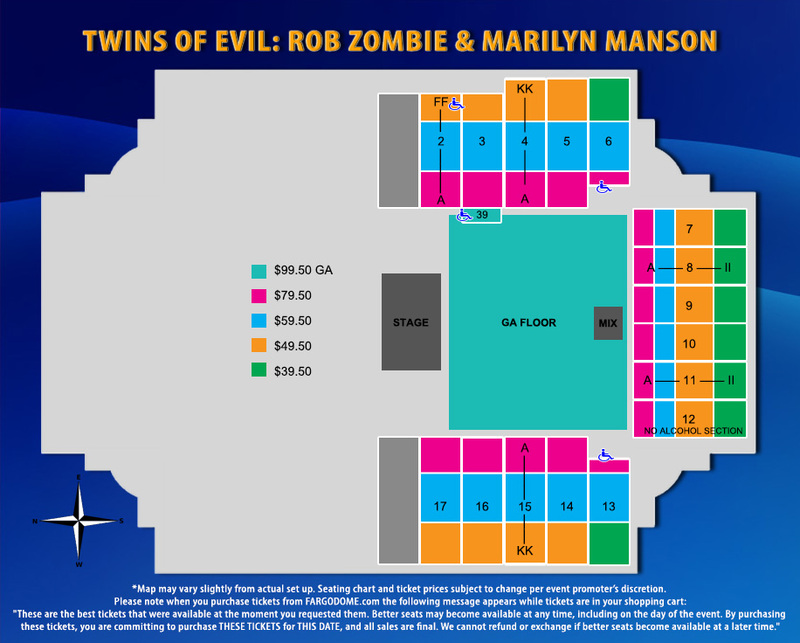 Each seat has an assigned Section, Row, and Seat Number. 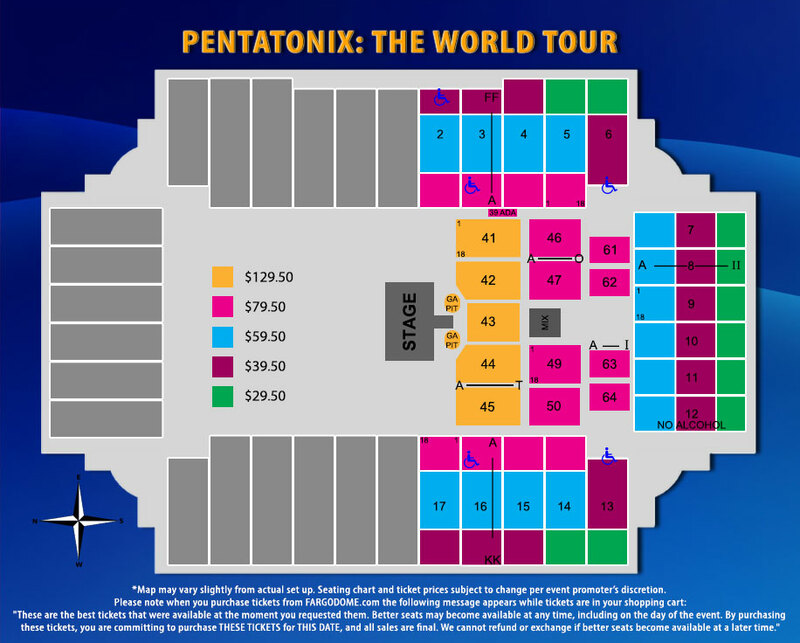 Elevated Floor Seats – seats are usually padded folding chairs on risers that start on the floor and rise up to the permanent elevated seats of the Fargodome. Each seat has an assigned Section, Row, and Seat Number. 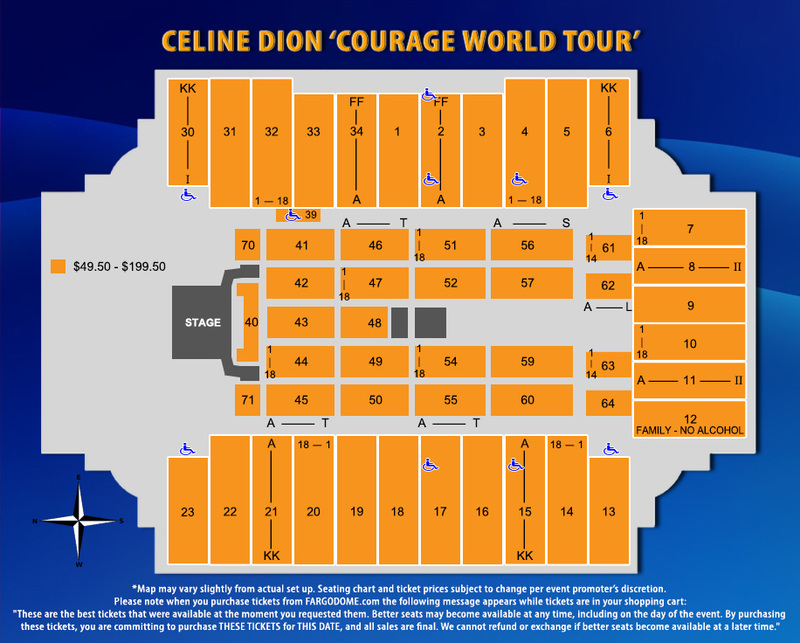 General Admission – Areas designated as General Admission mean that seats are not assigned particularly to a customer. This area is available on a first come, first served basis to those with General Admission tickets. General Admission areas for some concerts are standing only, and do not offer chairs. Check specific events for General Admission details. 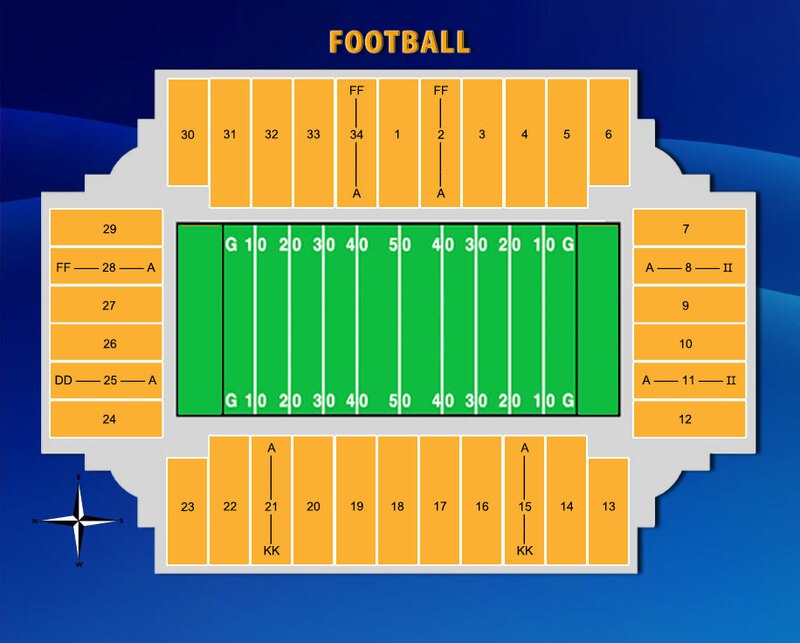 Elevated Seats – seats are the permanent stadium chairs (with arms and backs) in the Fargodome. Each seat has an assigned Section, Row, and Seat Number. Row A (approximately 5 feet off the field level floor) is the first row in the arena’s Elevated Seats. 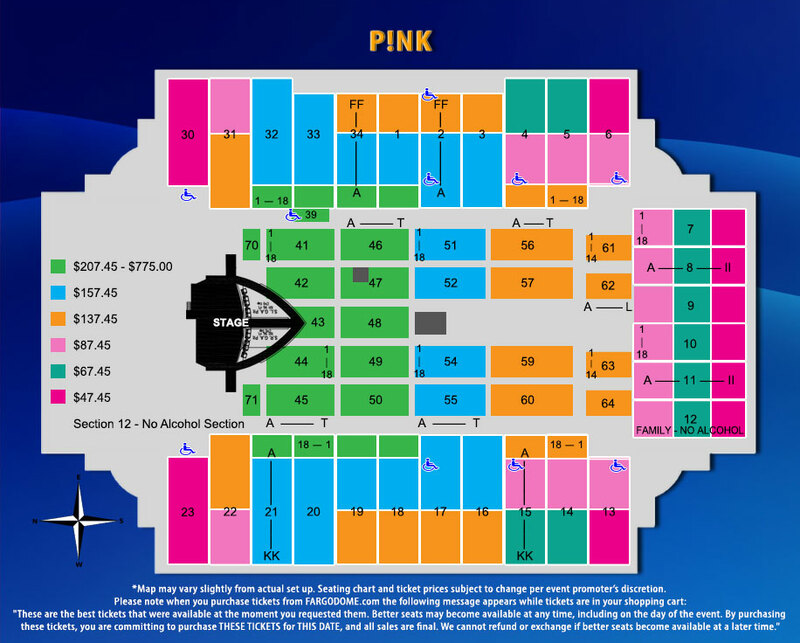 The Concourse (walk-out) is Row H. From bottom to top, the rows are lettered A-Z, AA-KK. There is no separation or break in the elevated rows. Access to the upper rows is by stairs only, excluding the ADA section. Side of Stage Seats – seats are next to the stage, giving the patron a view from the side. 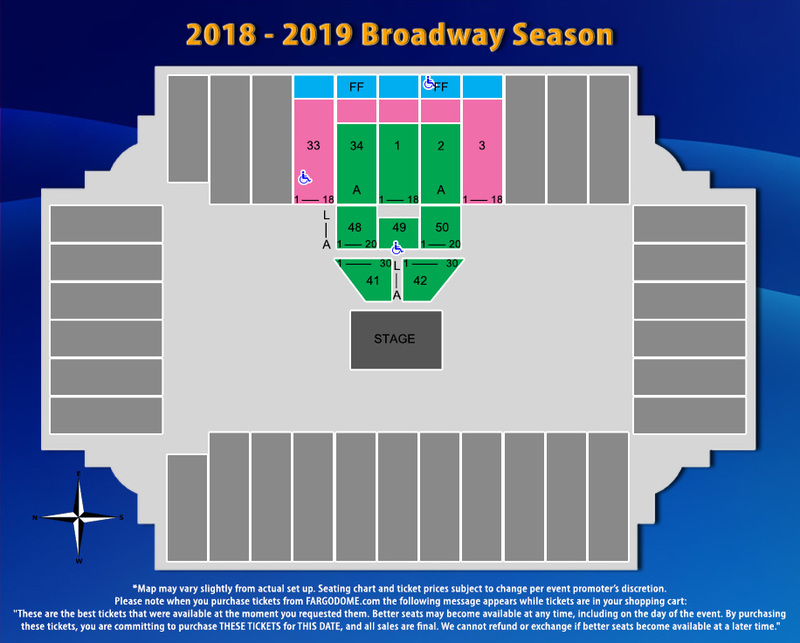 Obstructed View Seats – seats are sold with the understanding that there is a limited view of the stage. ADA Seating – Seats are accessible in compliance with the Americans with Disabilities Act. Please be courteous to patrons with disabilities and only purchase these seats if you need wheelchair seating. Family/No Alcohol Sections – Alcohol is not permitted in these specified areas during certain events. See individual events for details and availability.